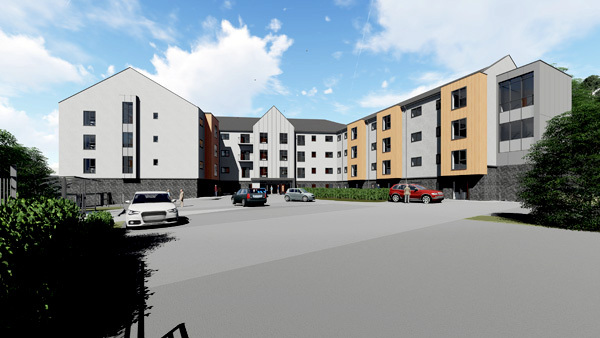 LMA were appointed as Architect and lead consultant by Wales and West Housing Association for their new Extra Care Facility in Holywell. 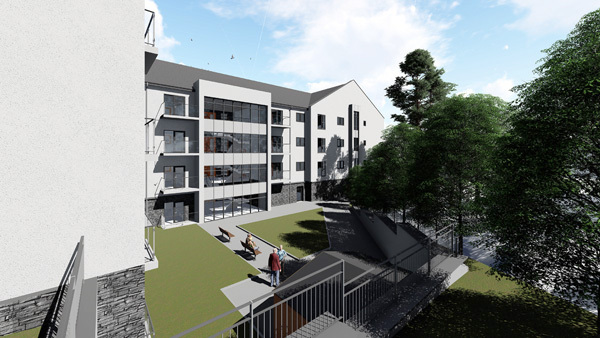 The site was previously a school but has been developed to accommodate a 59 unit facility. The site constraints required a design which was contained within the original school footprint and link to ancient woodland to the rear of the site whilst respecting the existing street scene. The building has render and slate walling under a natural slate roof. 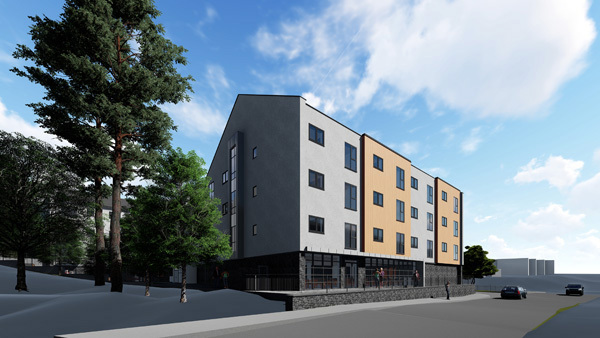 The design team worked closely with the local planning officer and client to ensure all aspects of the development met with Local and National Policies.